The Bonnie Doon home sale price per square foot has moved up to $363 in October after a weaker third quarter in 2013. 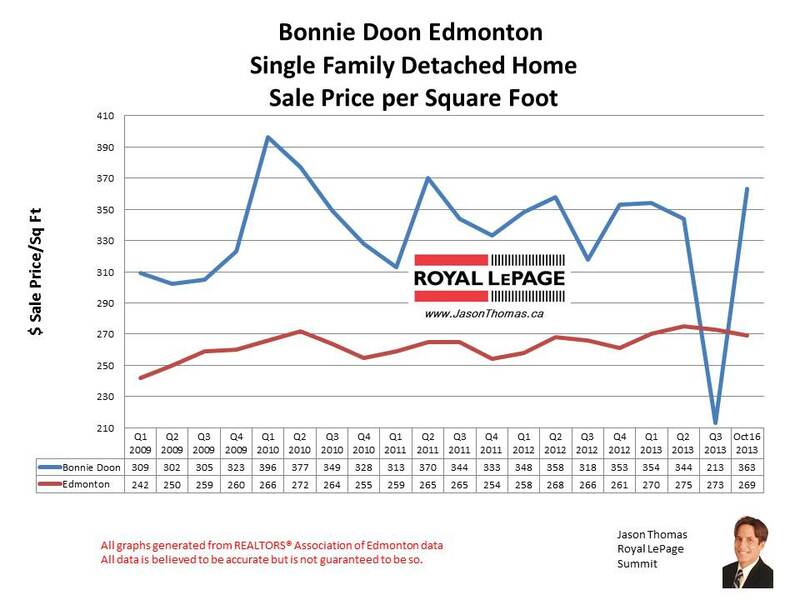 The Bonnie Doon area has normally been selling in the mid $300`s per square foot over the last few years. The highest sale price for a home in Bonnie Doon in 2013 has been $1,067,000. The average time it is taking to sell a house in Bonnie Doon over the previous 90 days has been 28 days. That is quite a bit faster than the Edmonton average days on market of 44 for the same time.